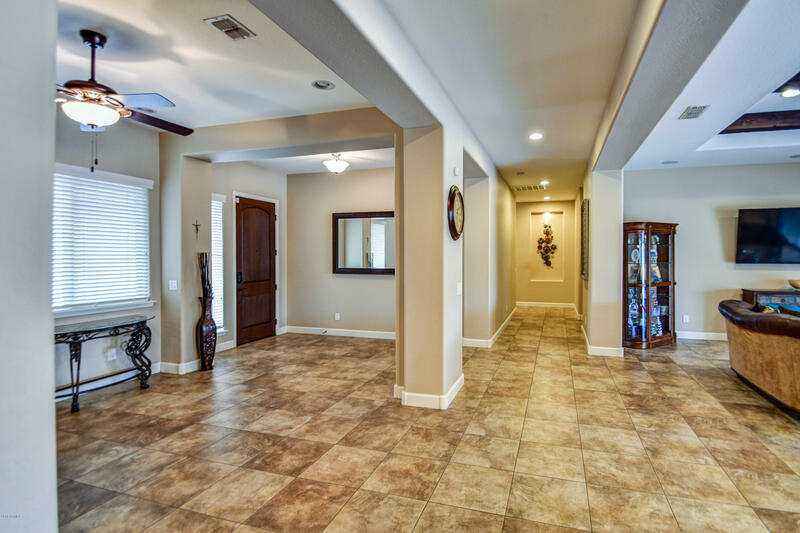 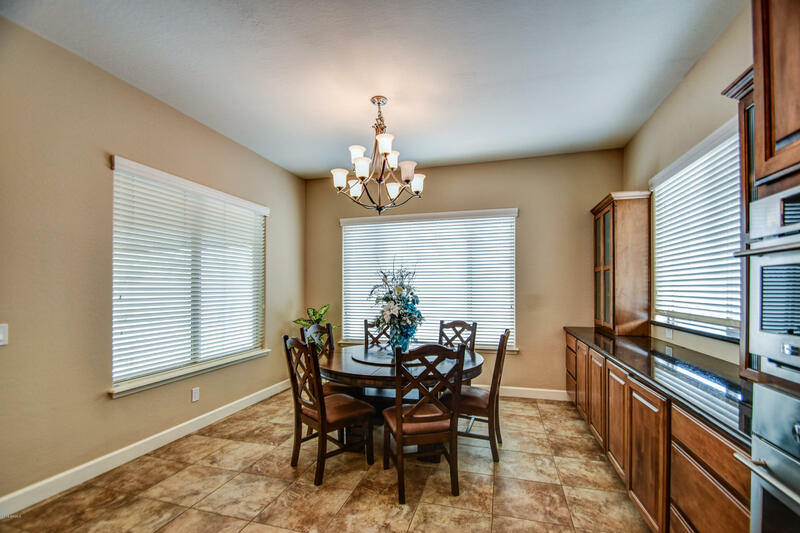 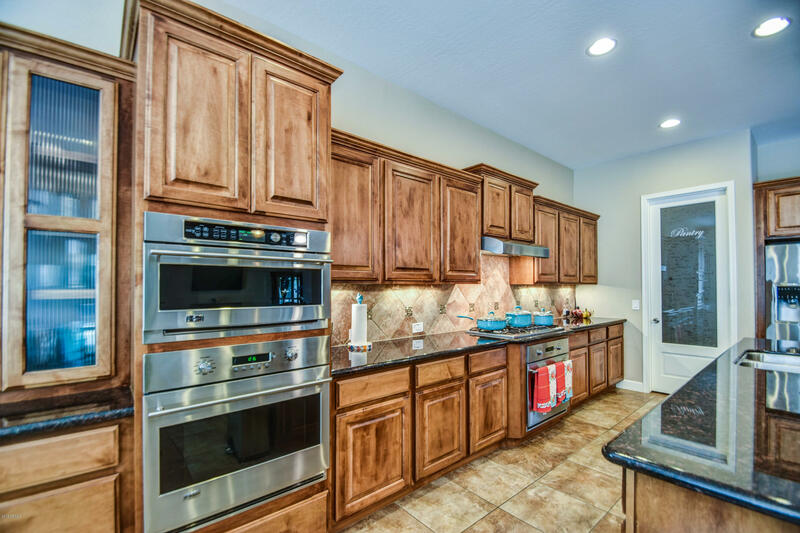 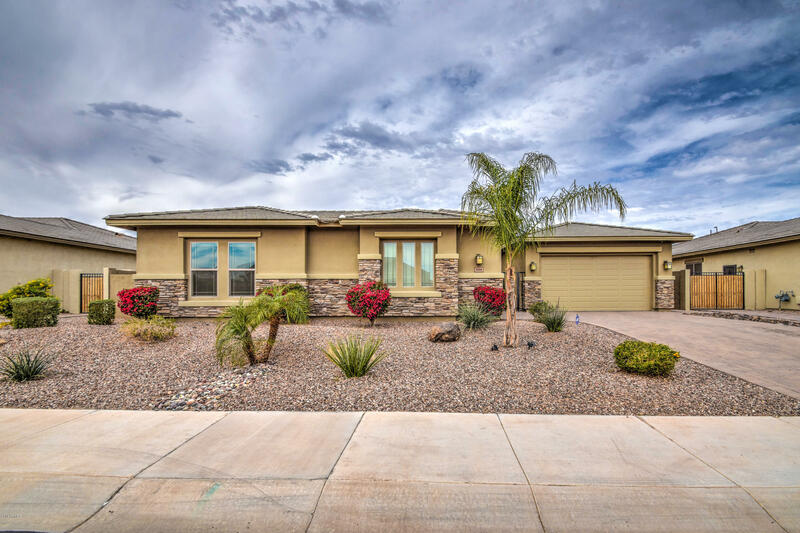 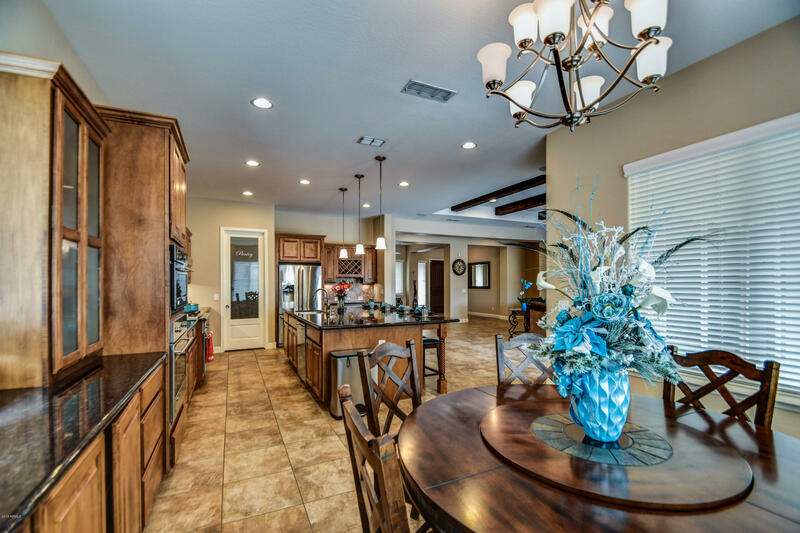 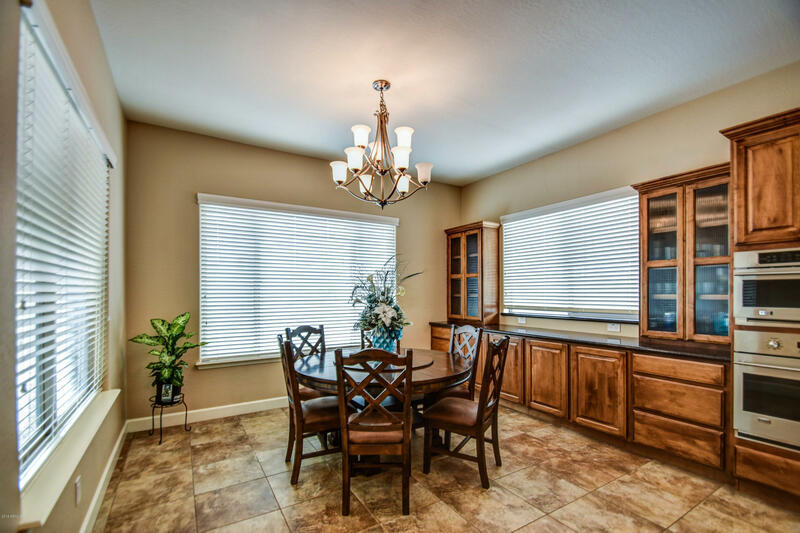 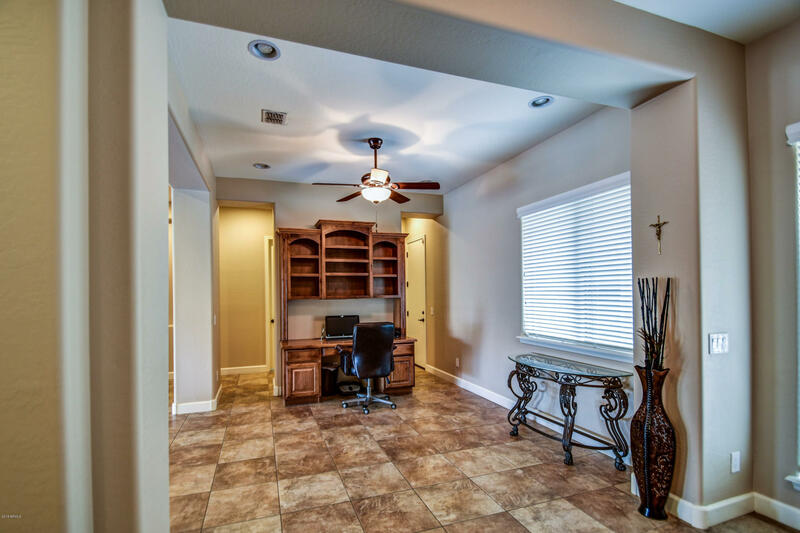 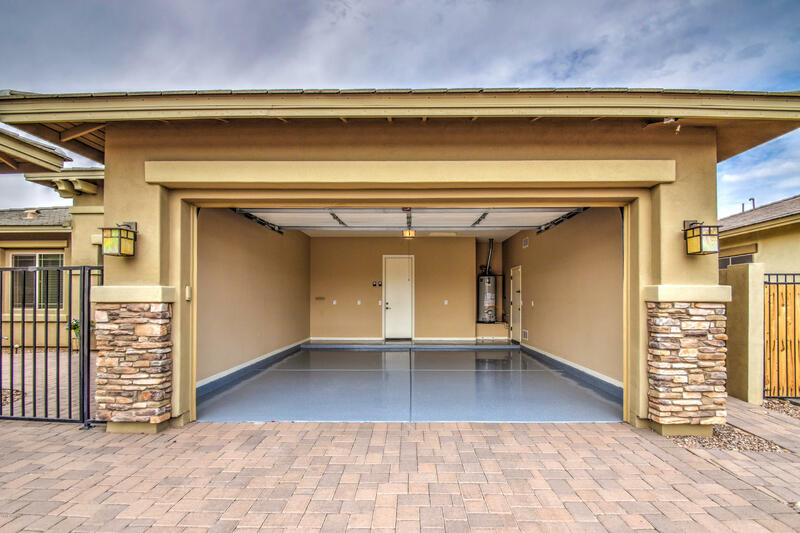 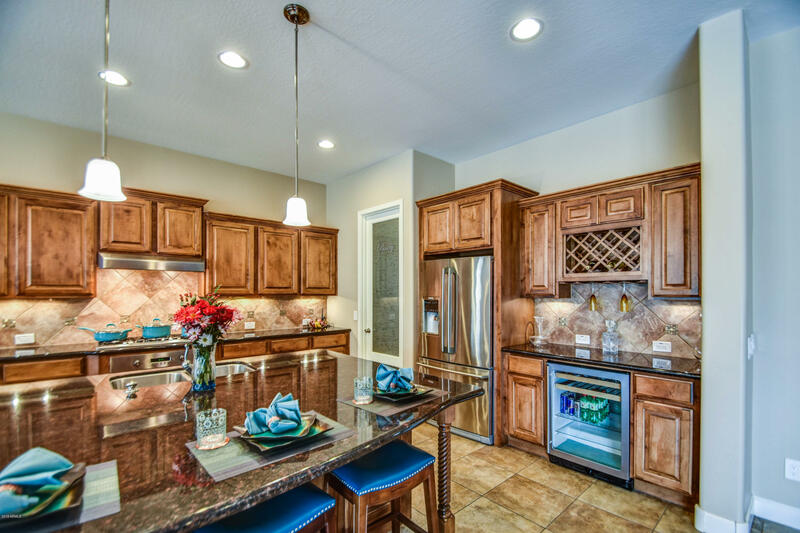 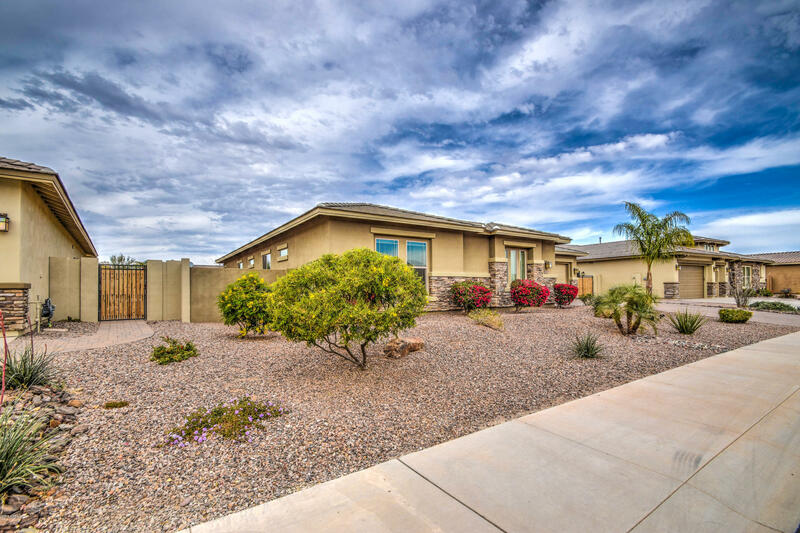 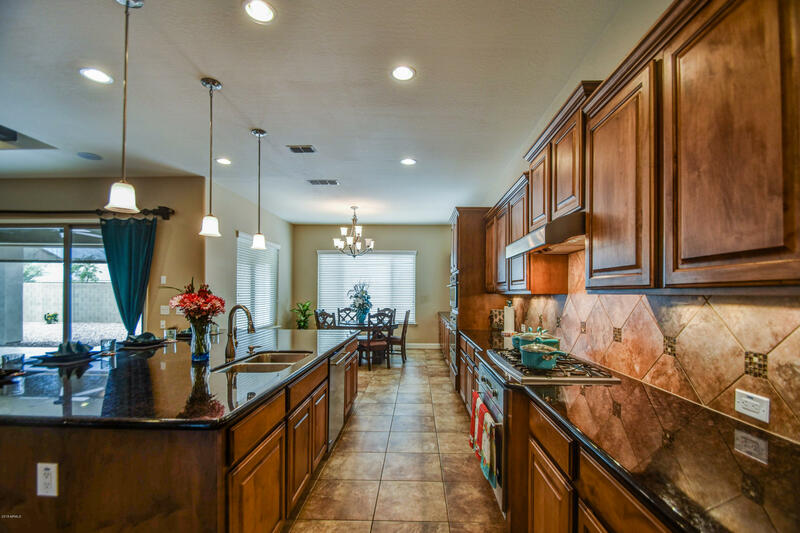 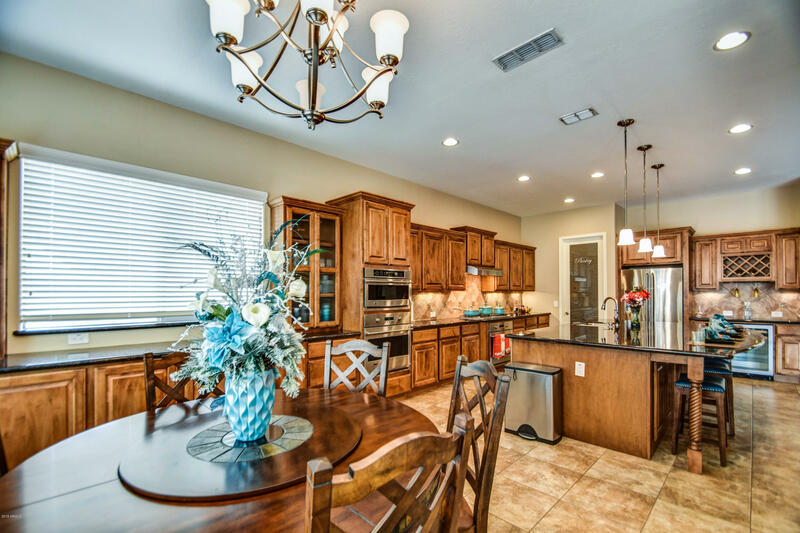 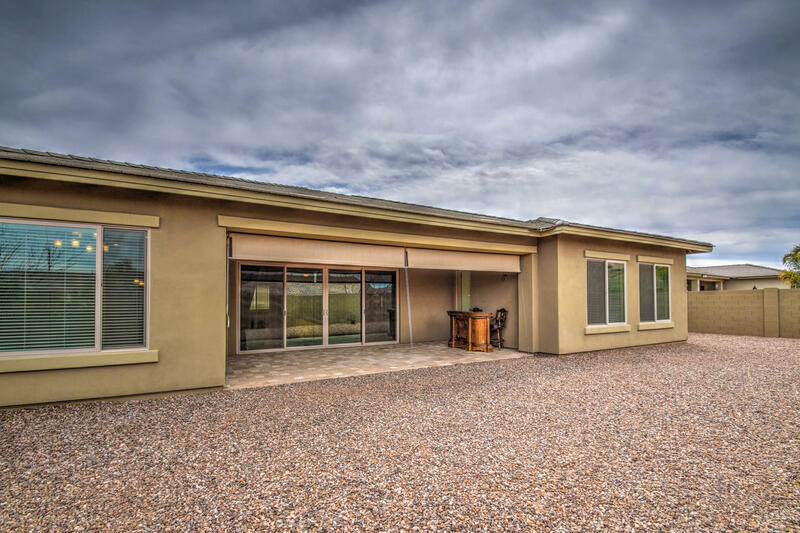 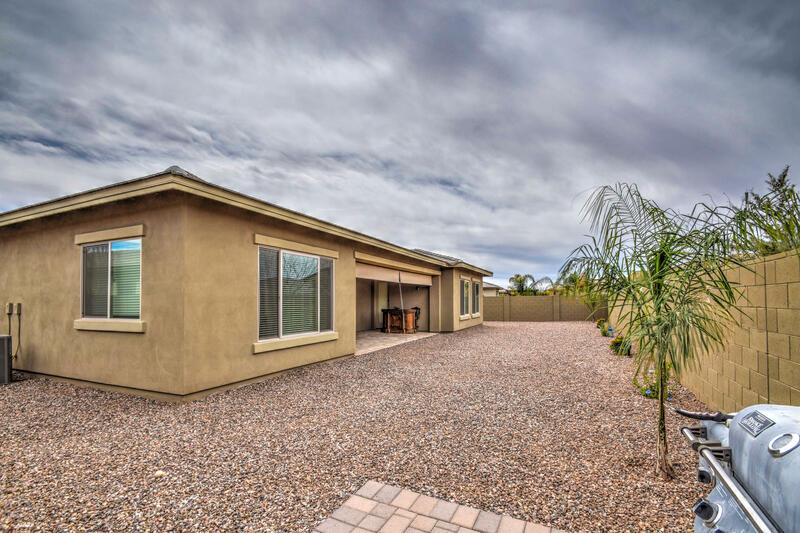 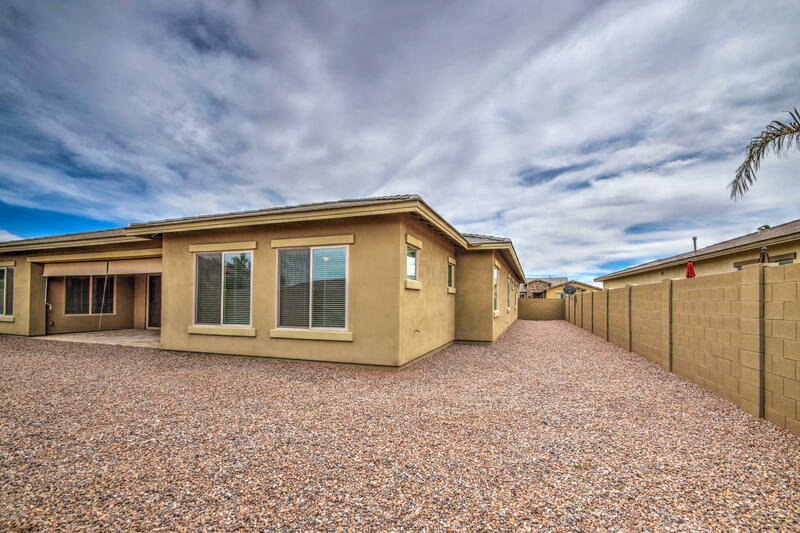 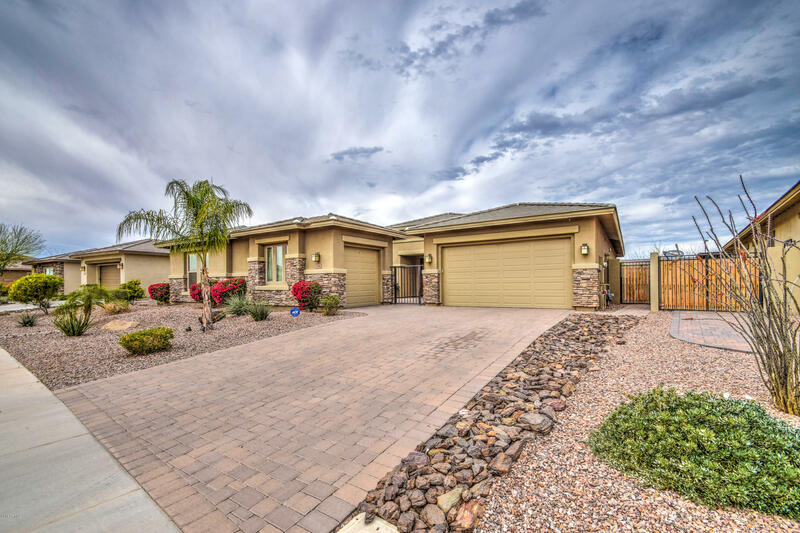 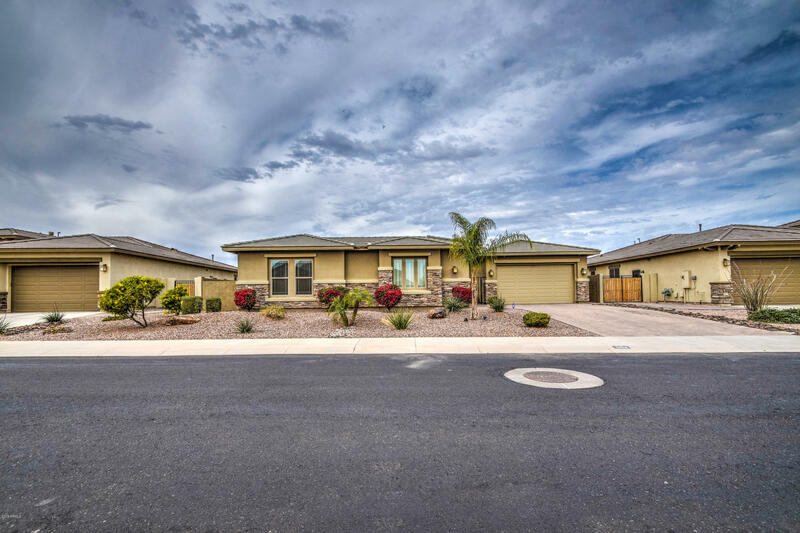 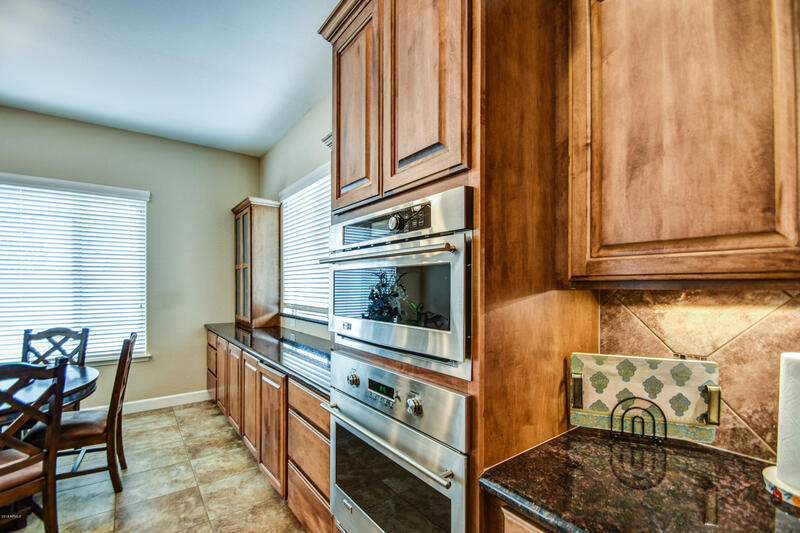 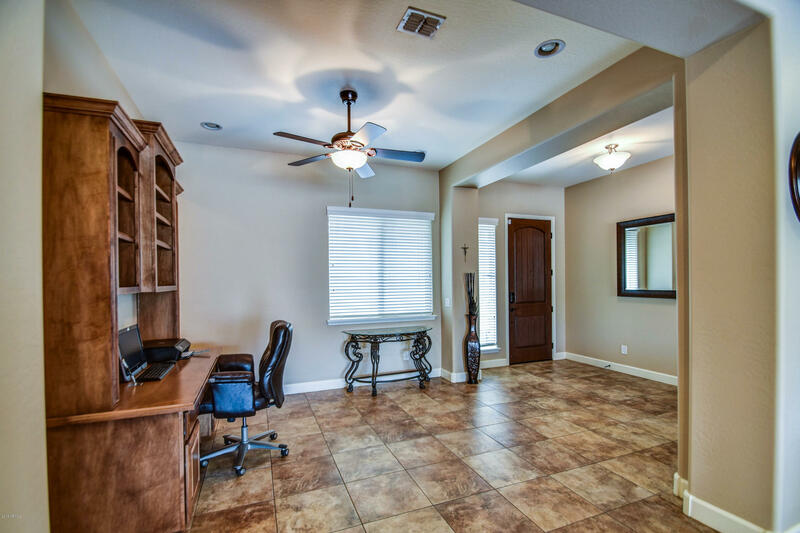 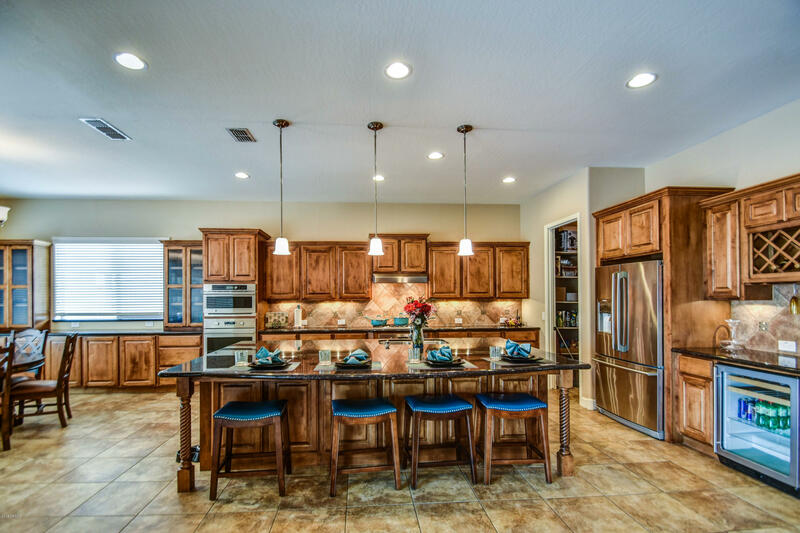 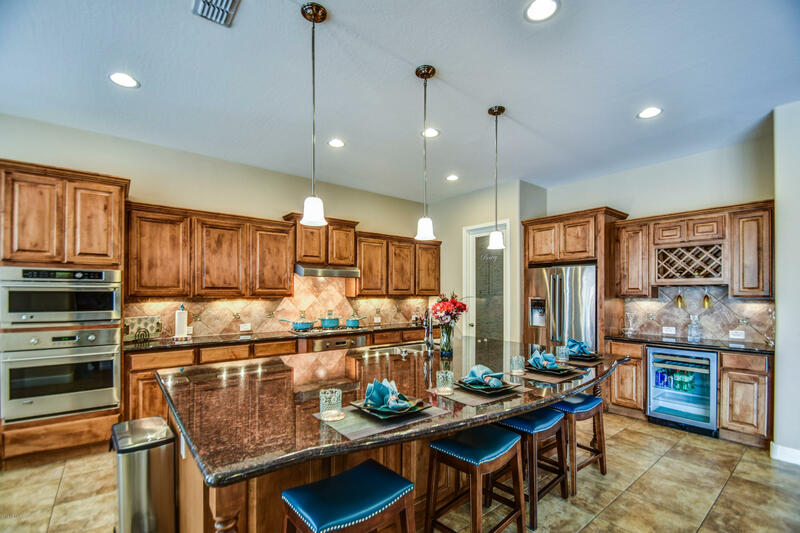 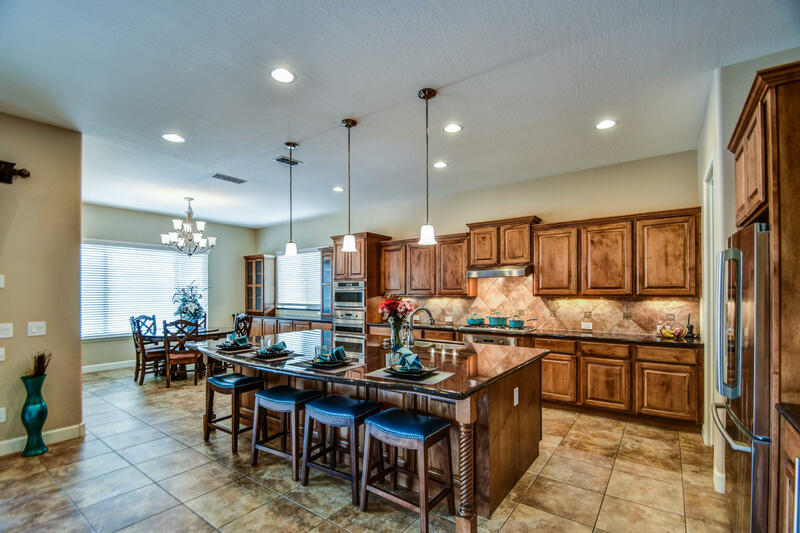 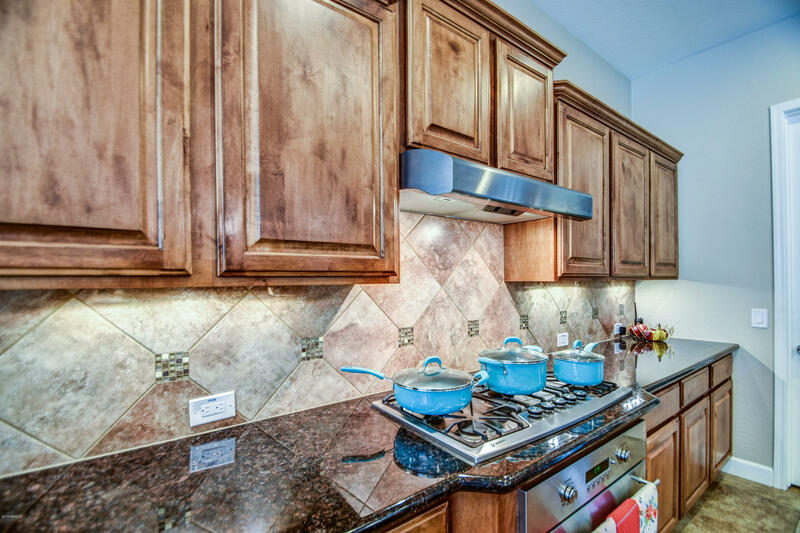 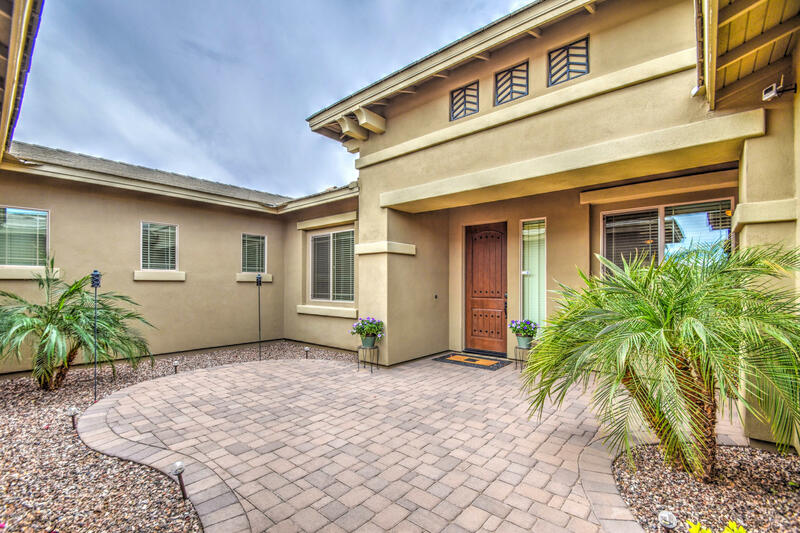 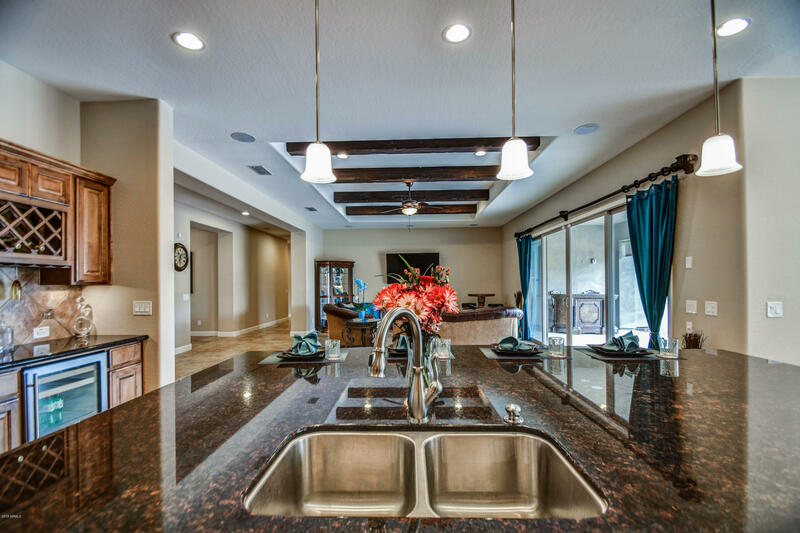 This fabulous home offers spacious, open living. 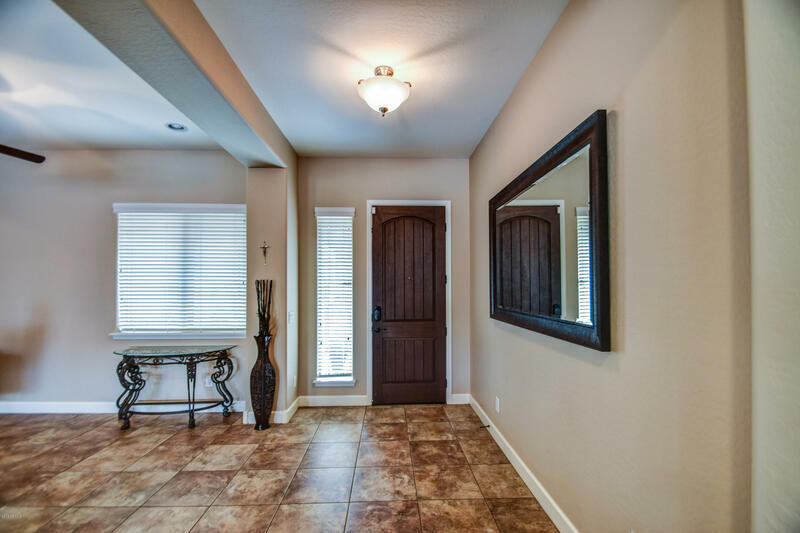 Entering a paved courtyard you'll find a gorgeous front door. 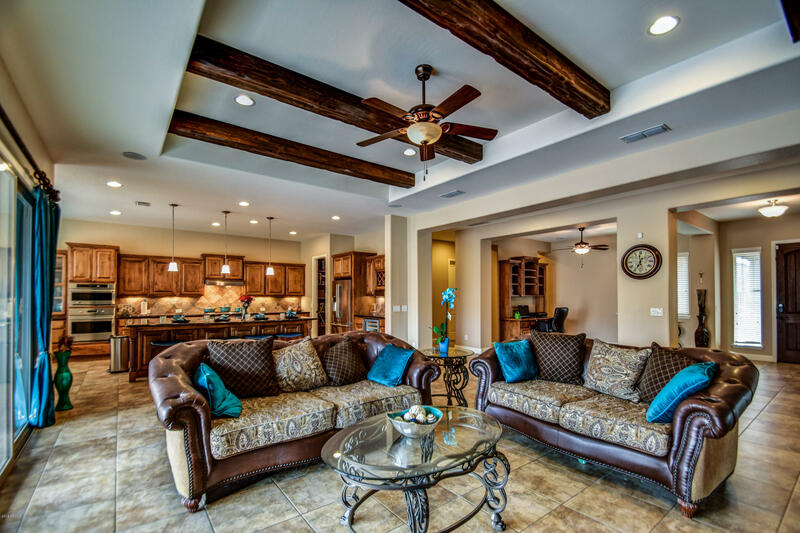 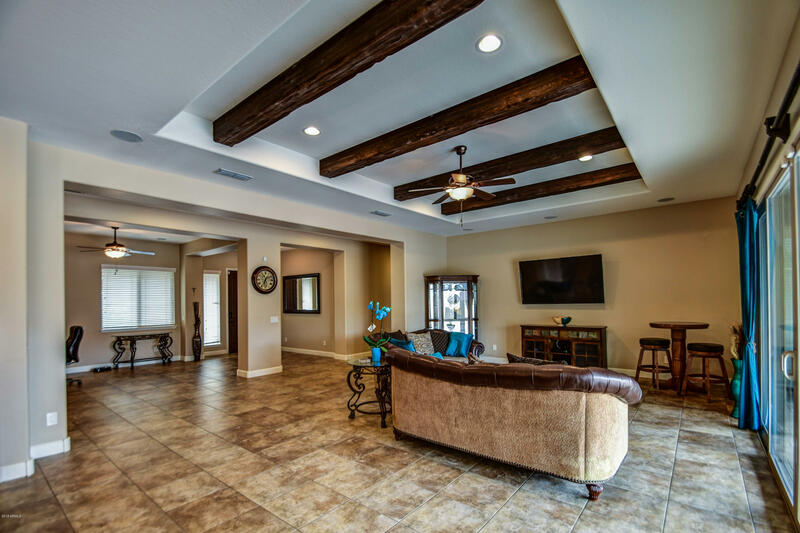 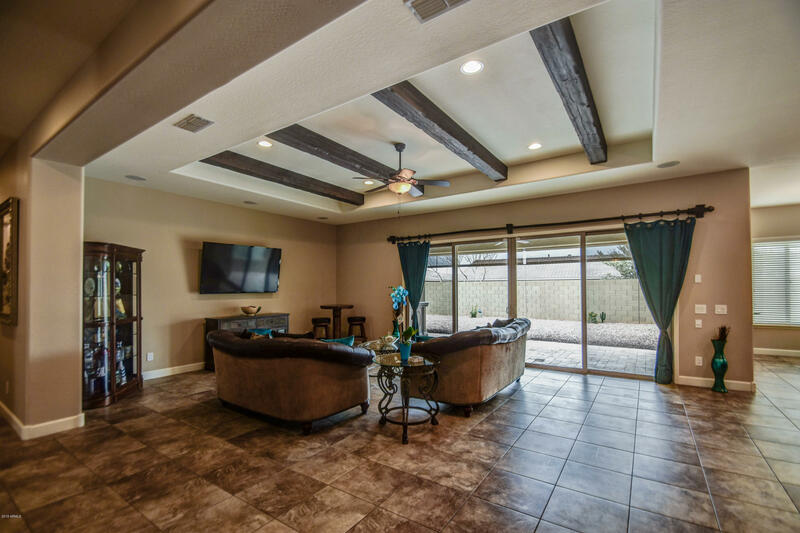 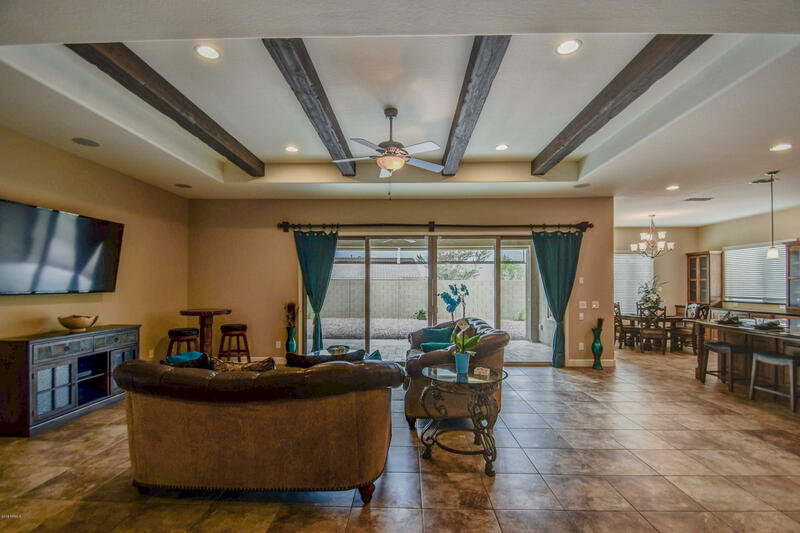 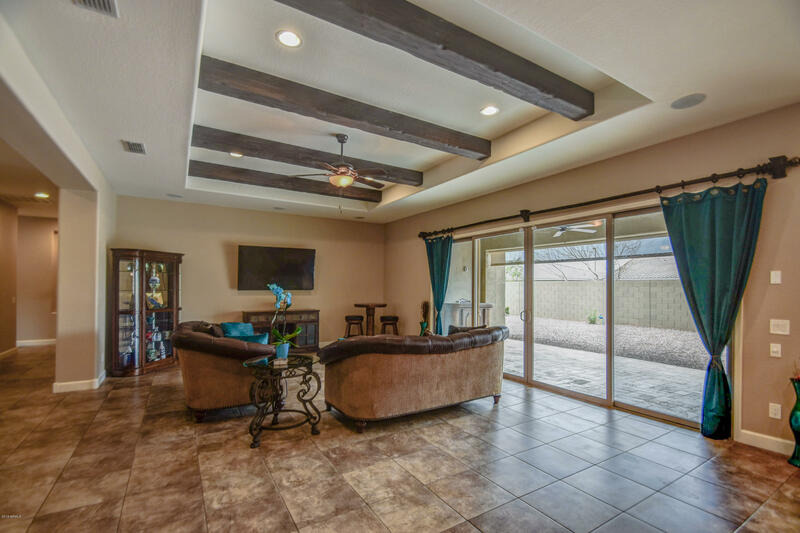 Inviting neutral colors & 20-inch tile sets off the beautiful family room w/beams. 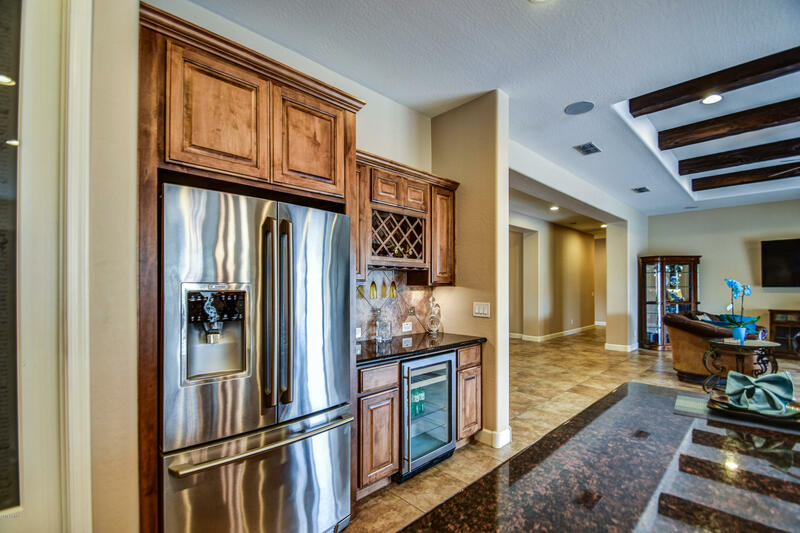 A gourmet kitchen includes double ovens, microwave, tile/mosaic backsplash, stainless appliances, pantry & wine bar area w/wine refrigerator. 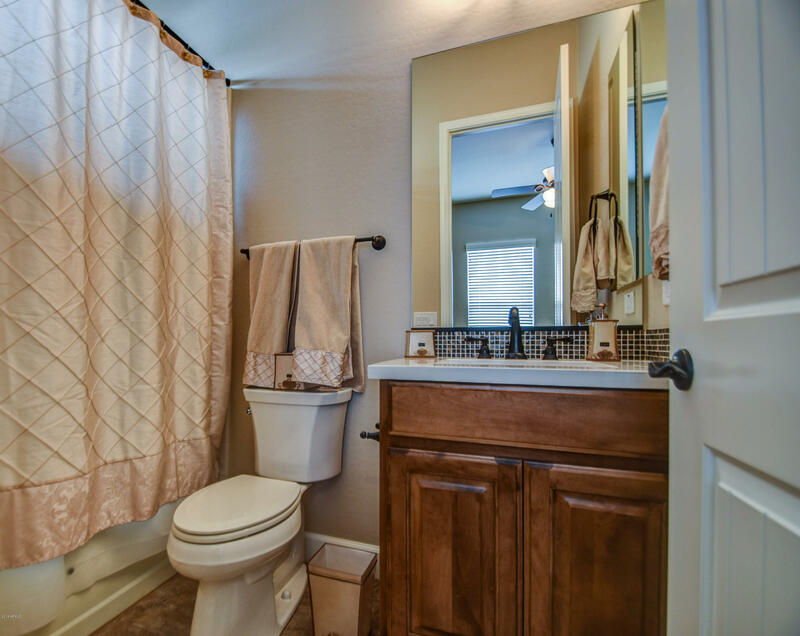 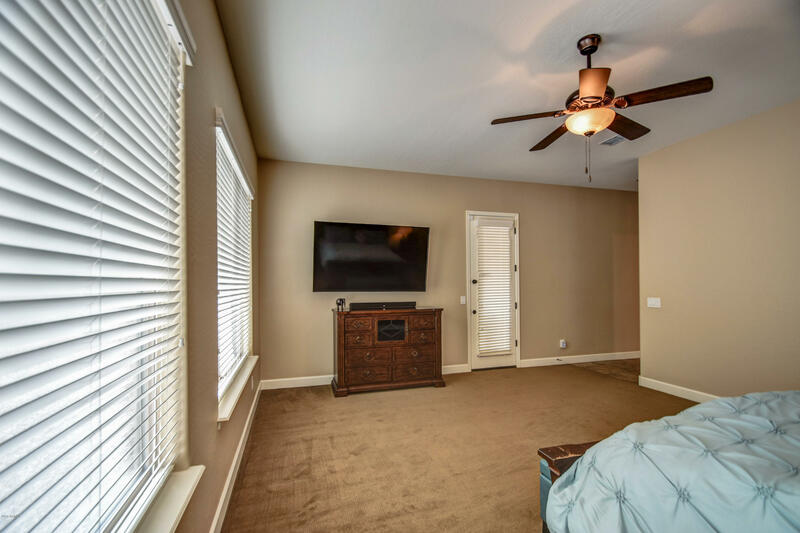 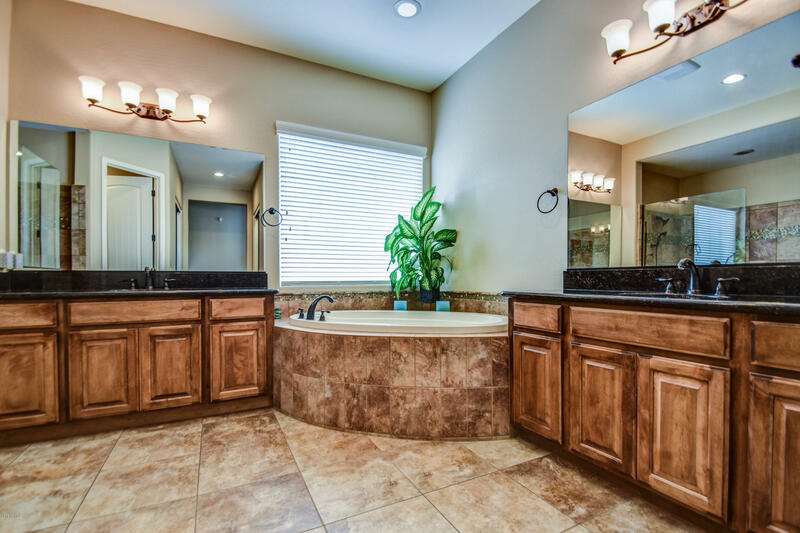 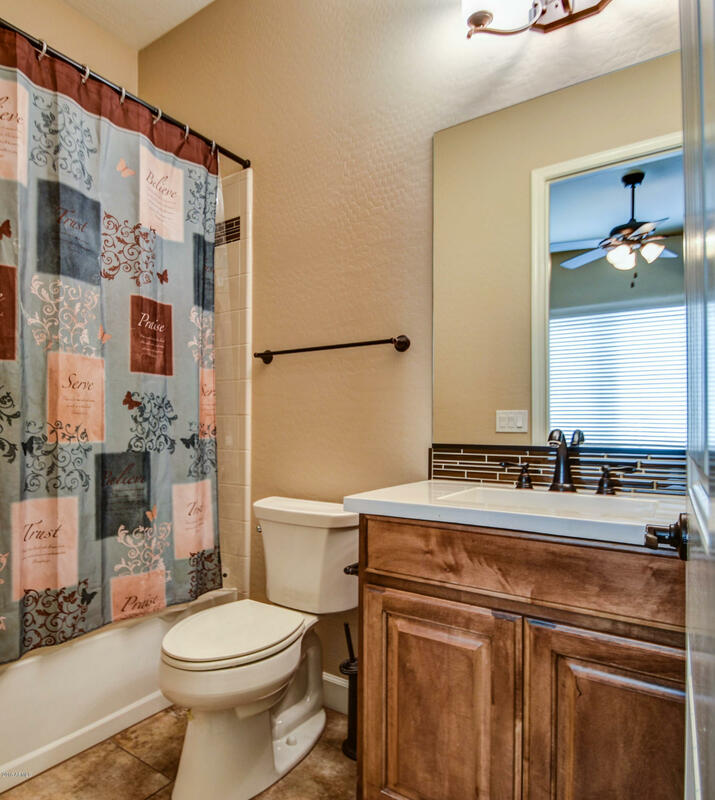 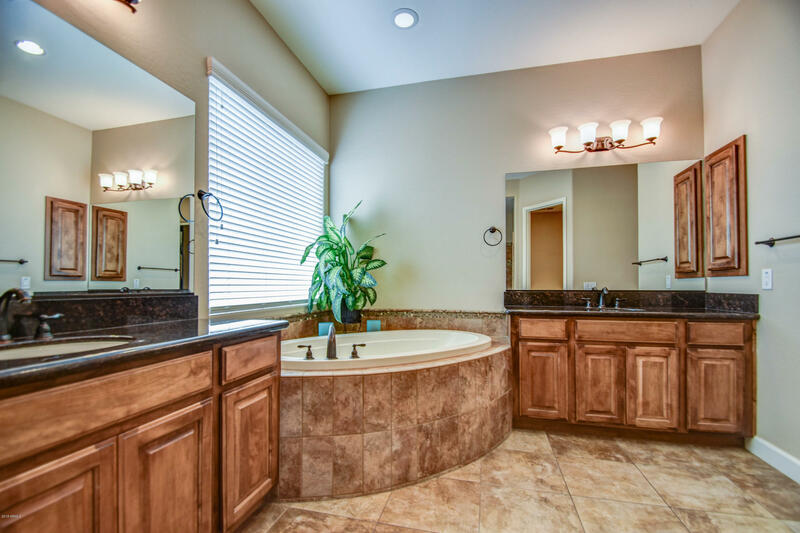 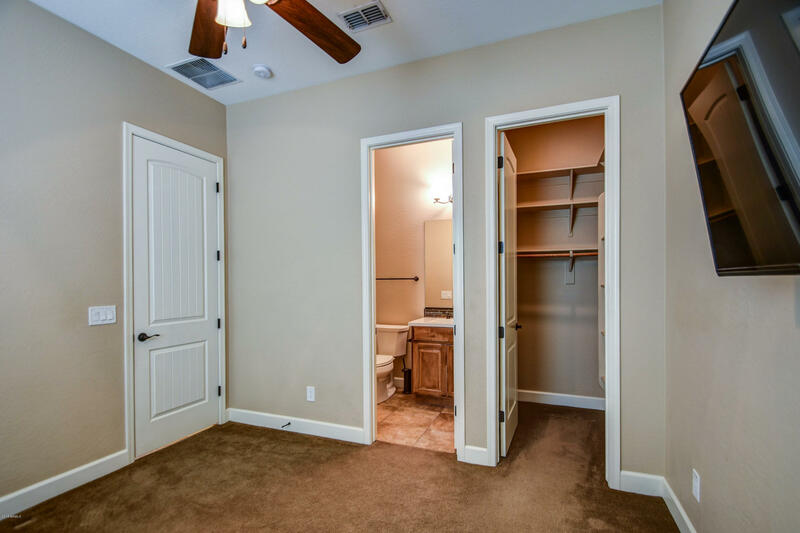 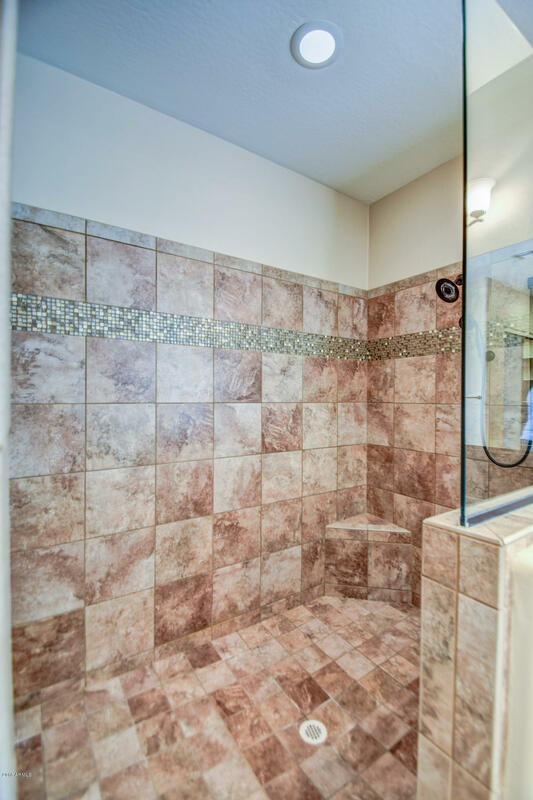 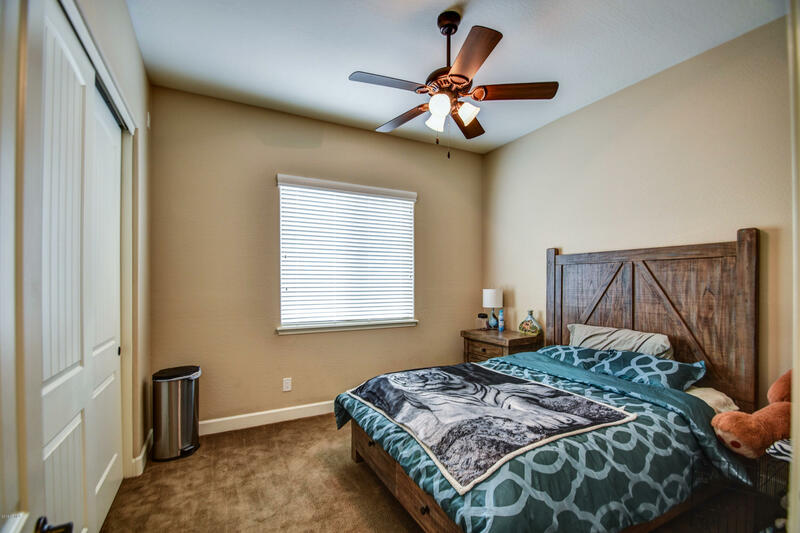 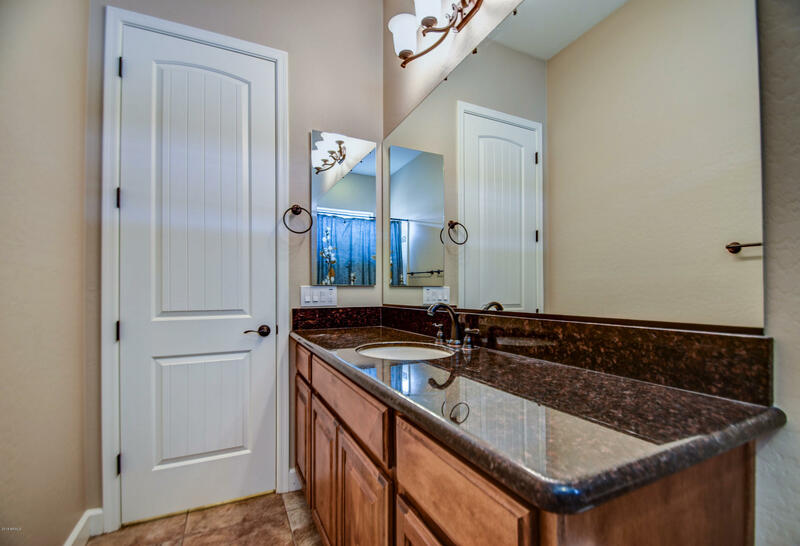 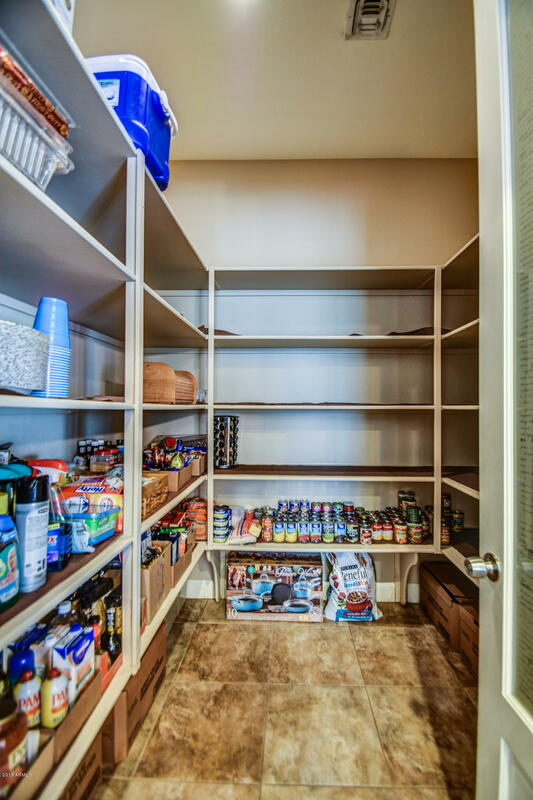 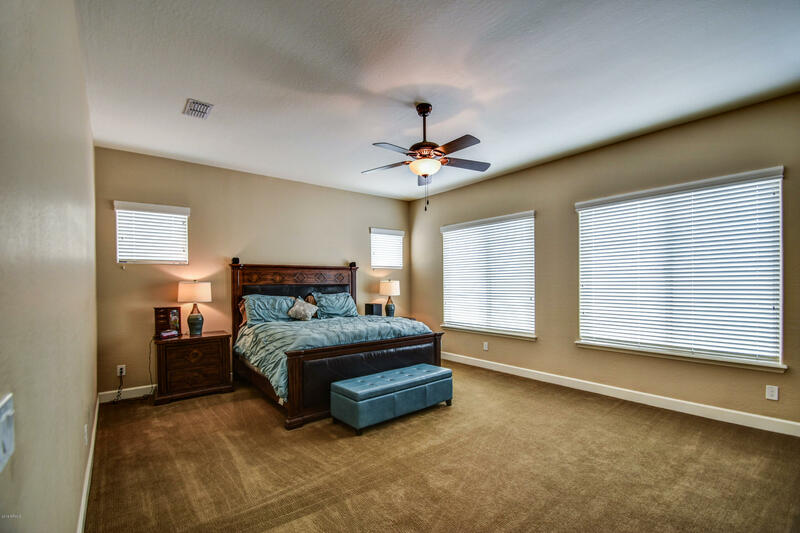 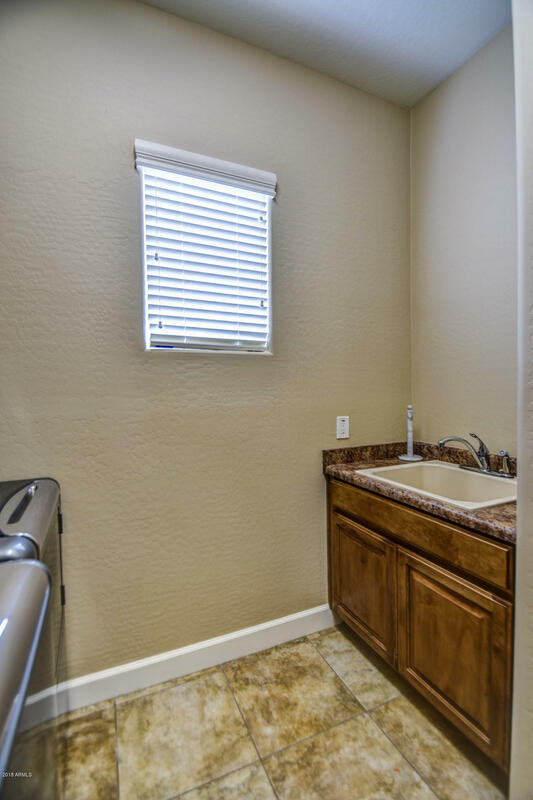 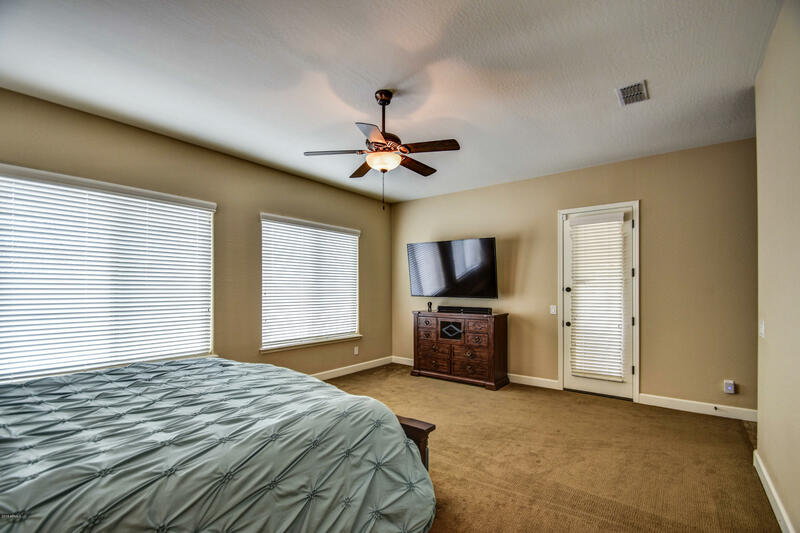 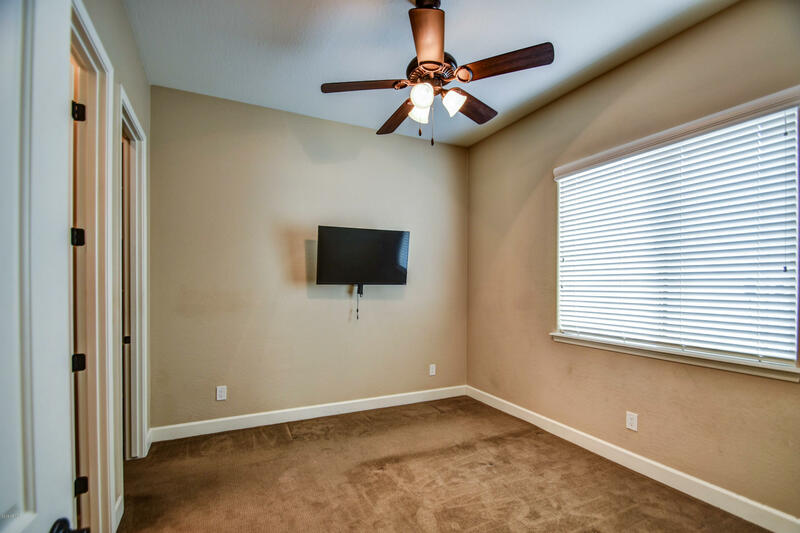 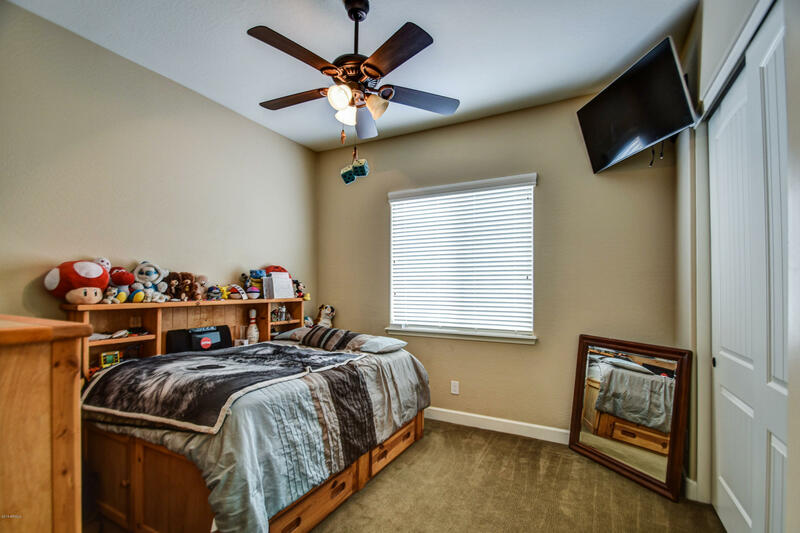 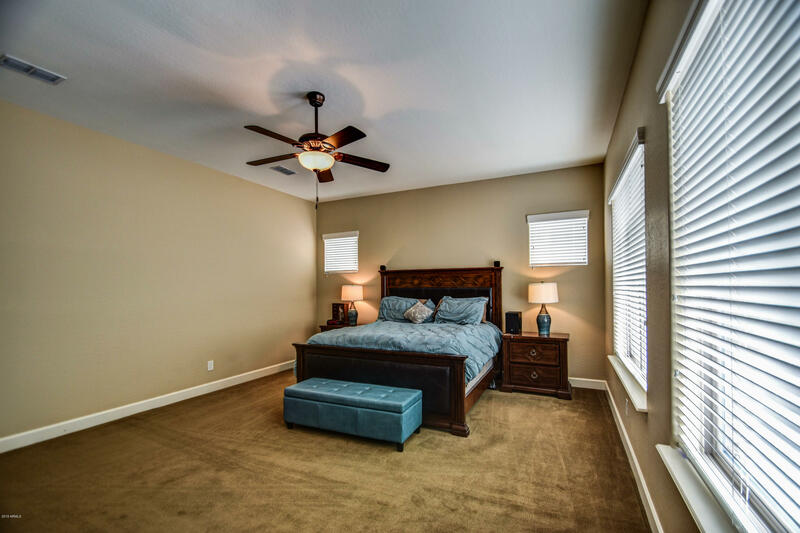 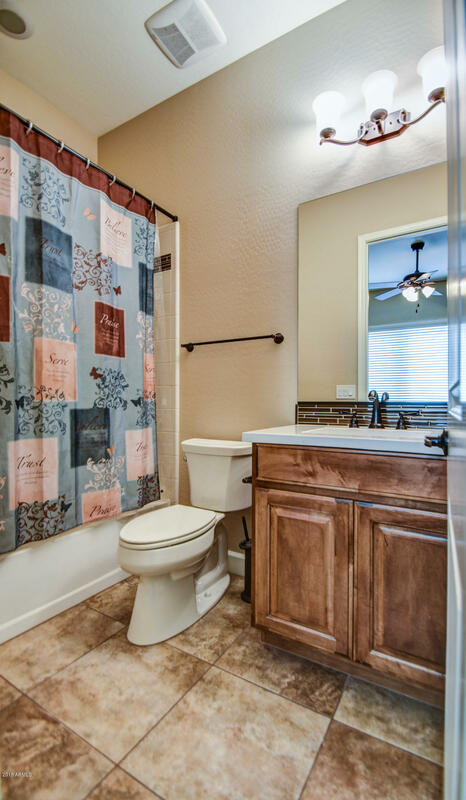 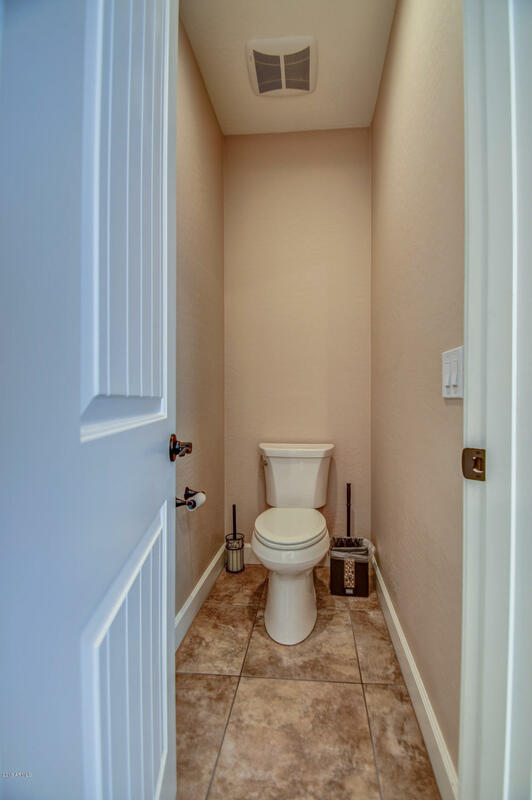 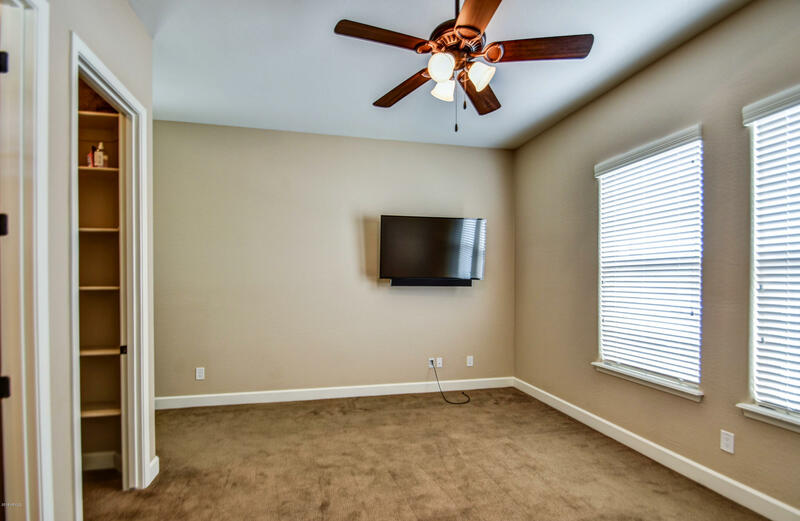 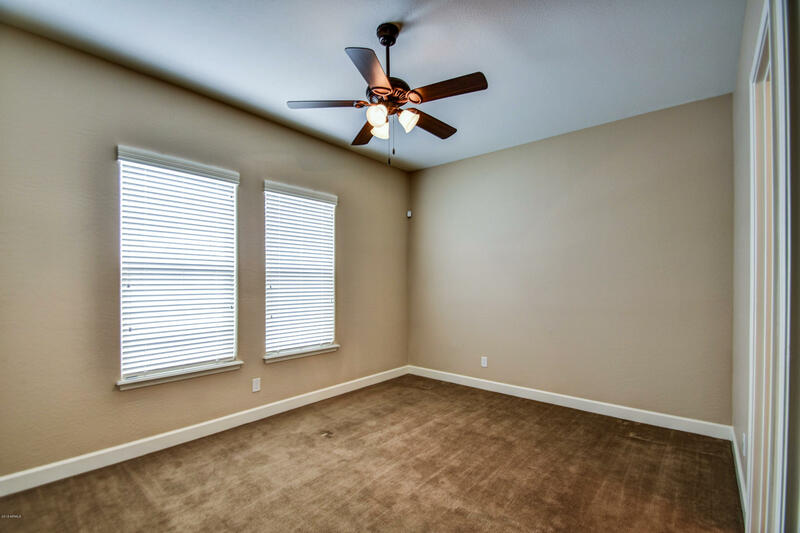 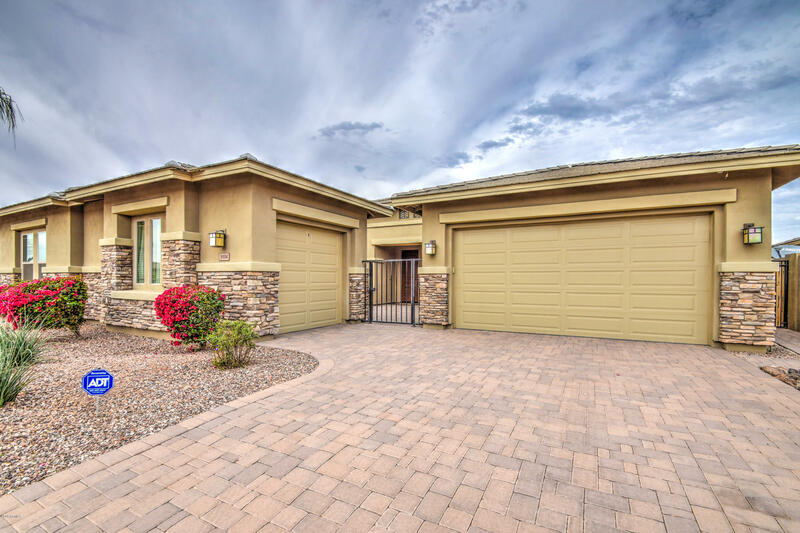 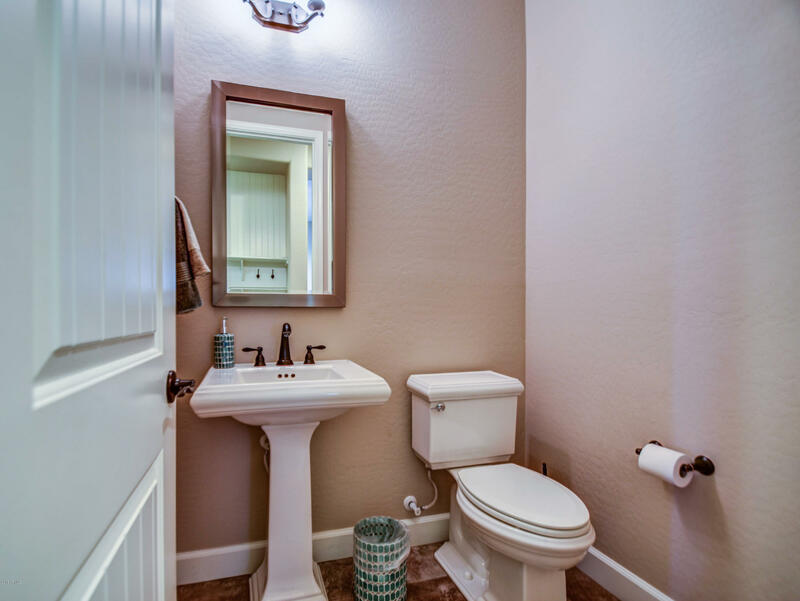 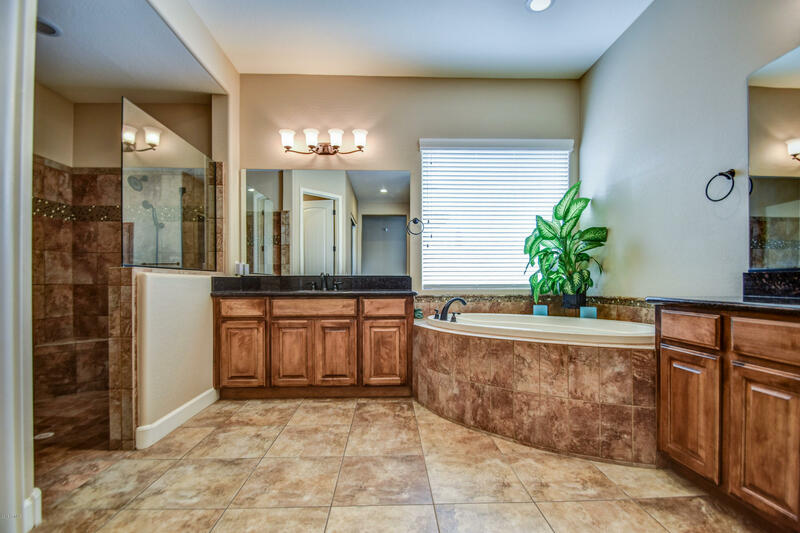 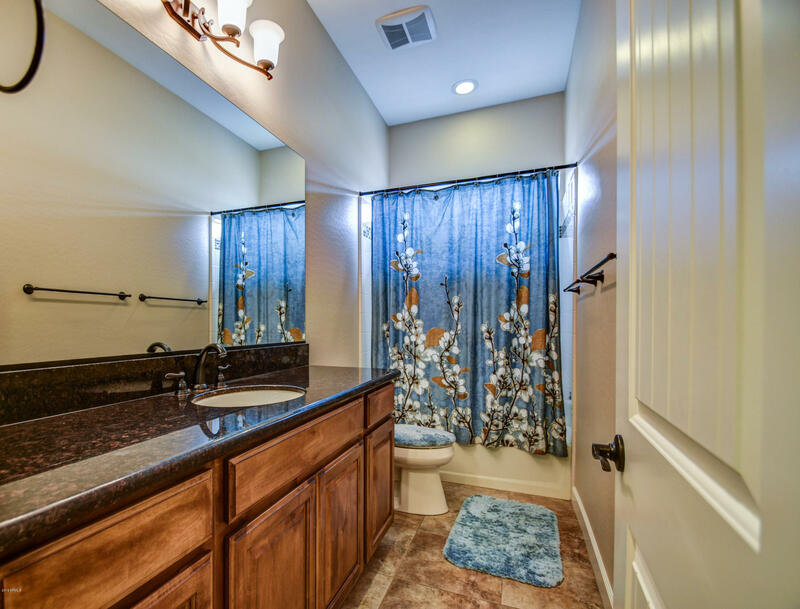 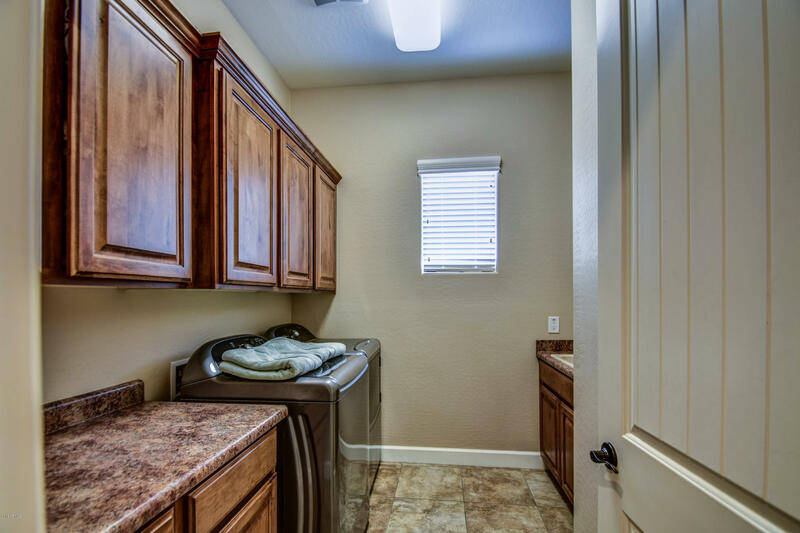 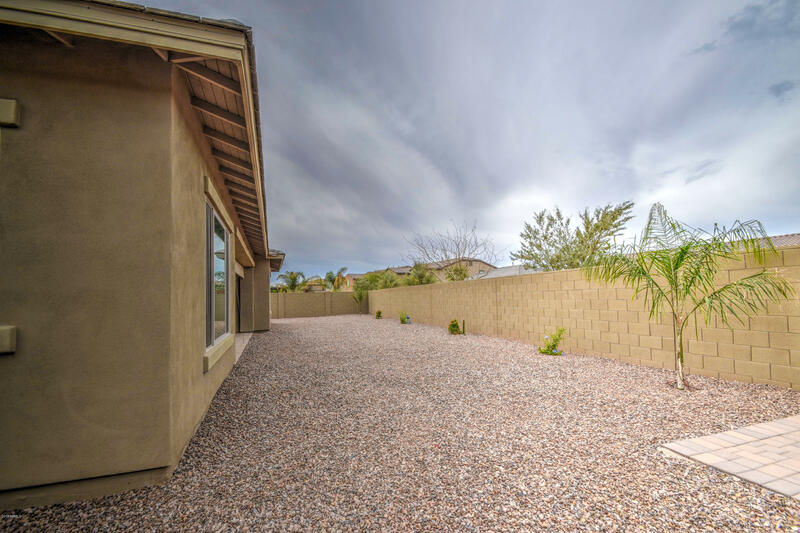 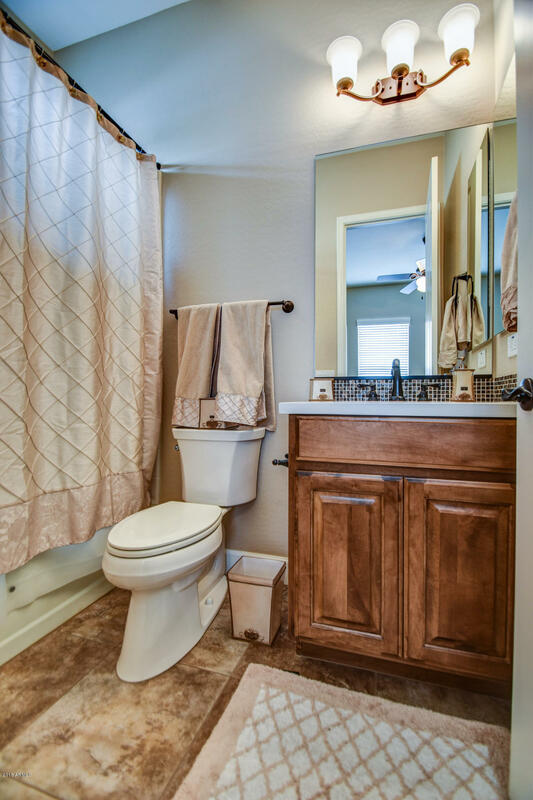 Luxurious & roomy master suite ready to unwind includes a spa-like bathrooms w/granite, tile shower w/glass, separate vanities, soaking tub, private water closet & 2 closets w/extra shelving. 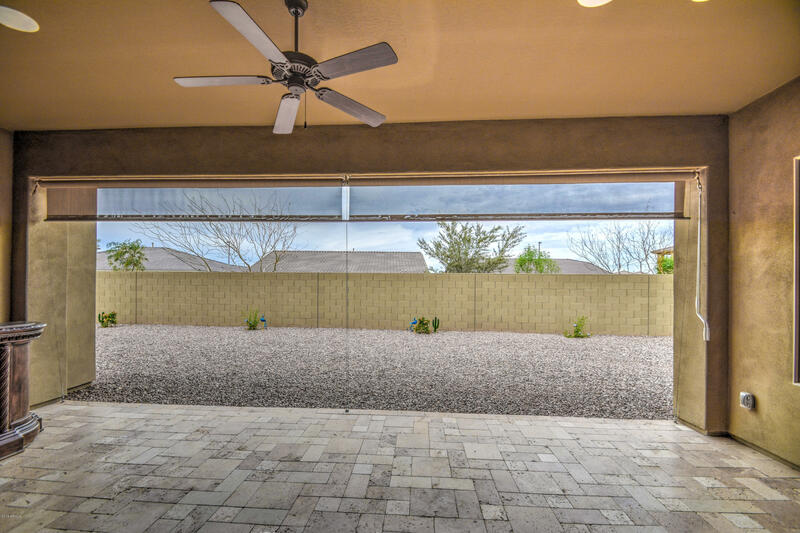 Private door off the master leads to a covered patio with roll down shade, travertine, BBQ area & fresh low maintenance landscape. 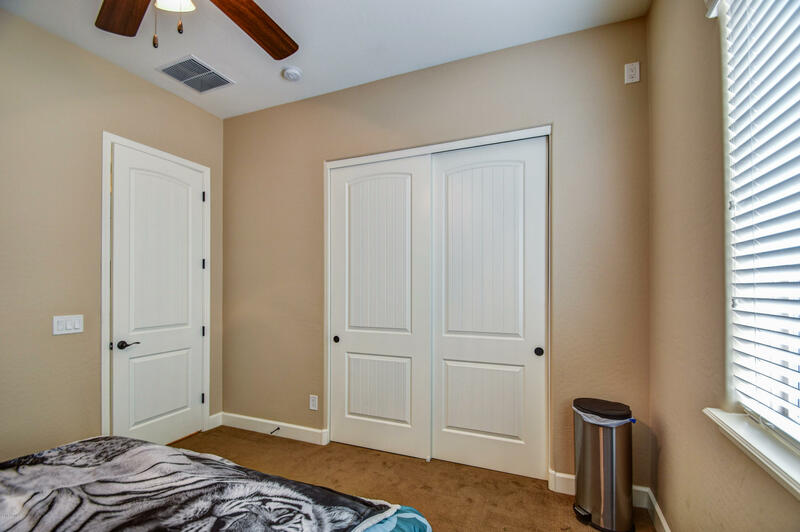 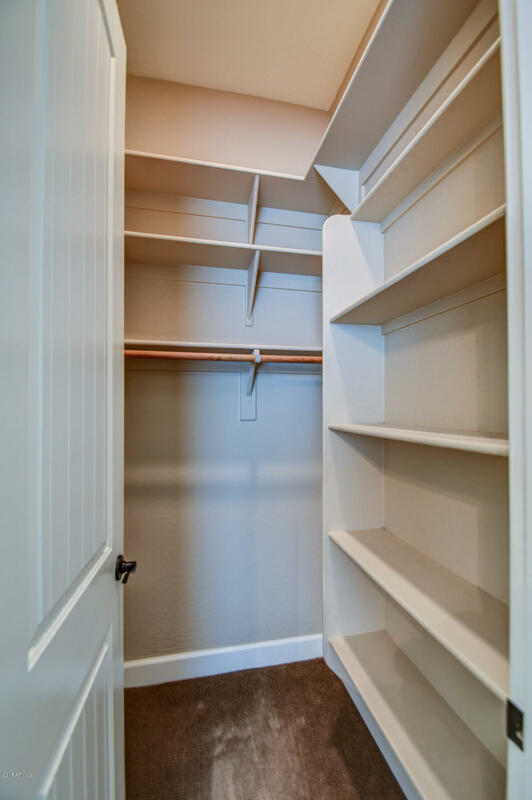 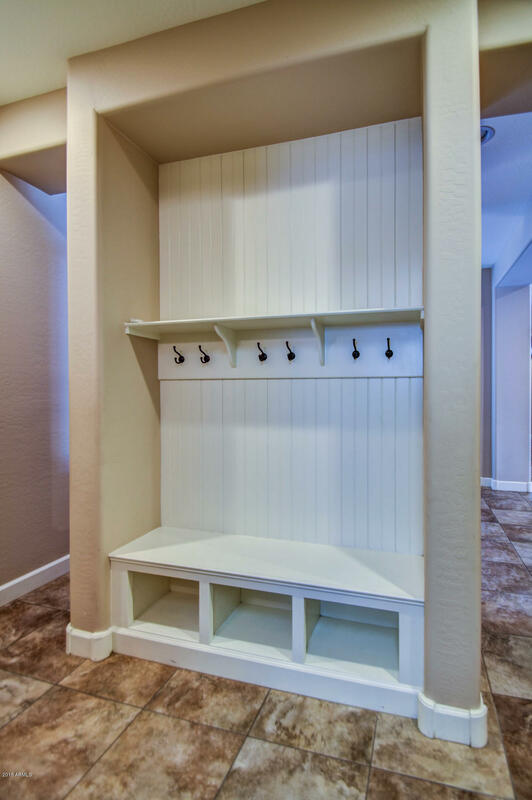 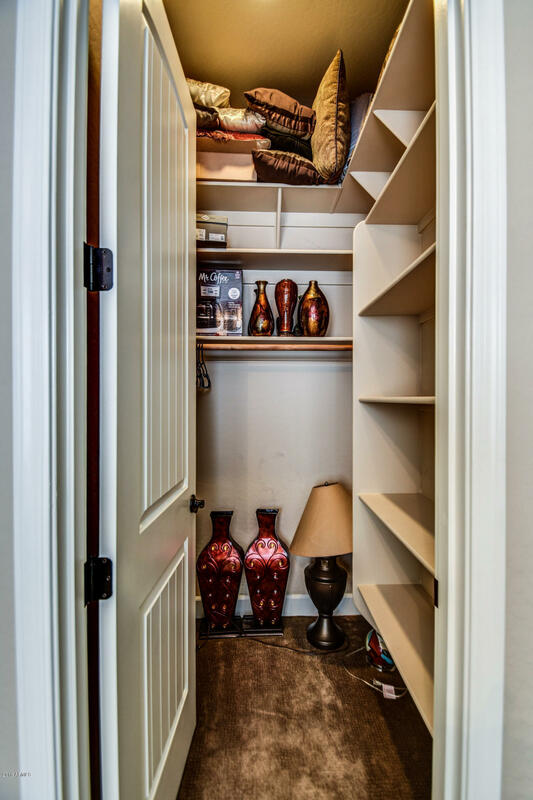 There are 2 linen closets & 3 more bedrooms; 2 w/en-suites! 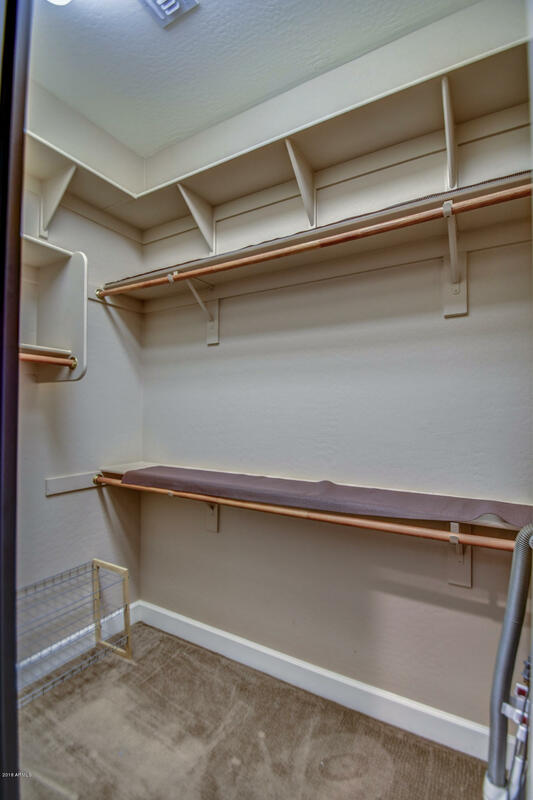 Great additions w/build-in desk & built in backpack rack. 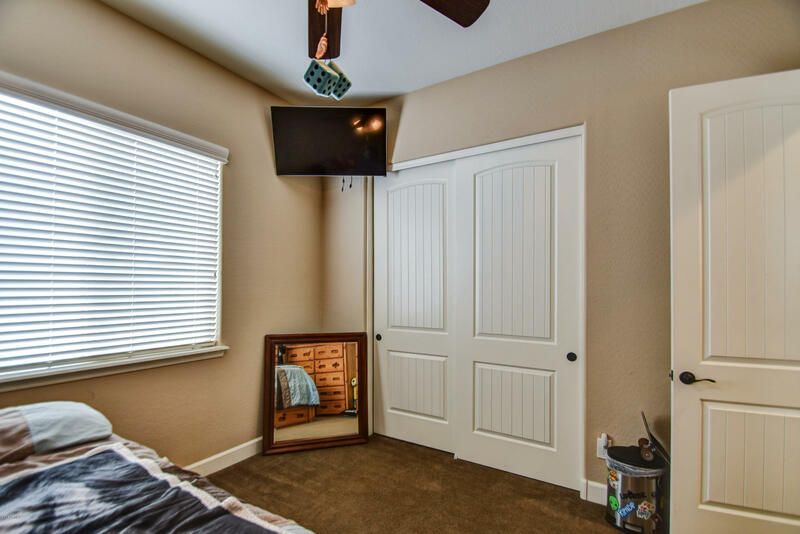 Thousands in upgrades!